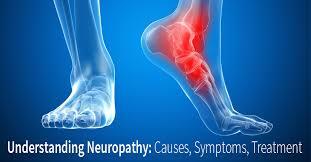 Neuropathy is a condition that can affect the nerves anywhere in the body. 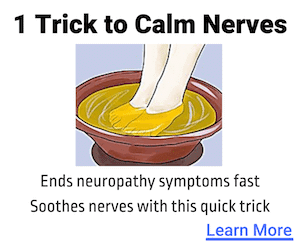 Meanwhile, many people suffer from a specific condition, which is peripheral neuropathy. This affects the extremities more than anything else. The most common areas to notice this condition are in the feet. In patients with peripheral neuropathy, the nerves in the extremities of the body (fingers, hands, lower arms, toes, feet, lower legs) are affected. This presents itself with a variety of symptoms, some of which can significantly reduce the affected individual's quality of life. It is particularly common in people with diabetes and in the elderly. In fact, it is believed that around 10% of those over 55 are affected by it to some degree, and between 60% and 70% of diabetes patients will develop it eventually. The sensory nerves, whose role is to transmit sensations and feelings. These include responses to touch and pain. The autonomic nerves, whose role it is to regulate the body's automatic functions. This includes things such as bladder function and blood pressure. Usually, patients have these symptoms constantly, although they may have some flareups and periods of relative rest. Often, however, the condition does get progressively worse over time. It is important, therefore, to seek treatment for it as early as possible. Why Are the Feet More Affected? In many cases, neuropathy starts with a loss of sensation, rather than pain. While that is worrisome no matter where it occurs, it is particularly dangerous around the feet. The reason for this is that the feet are in almost continuous use, which means that they are also more likely to be affected by injuries. 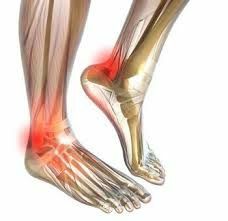 And when people lose sensation in their feet, they will likely not be aware of injuries, which implies that the injury will get worse. For instance, through walking, patients may have a blister underneath their feet. 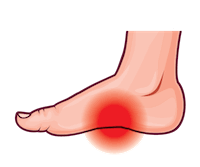 If they are unaware of this, because they cannot feel it, the blister could become an open wound and then get infected. These situations are frequently seen in people with diabetes, who sometimes even have to undergo an amputation of the affected limb. This is also possible if the aforementioned infection starts to affect other parts of the body, including the bones. While this sounds like a horror movie scenario, it is not that uncommon. On the other hand, this scenario can be avoided. It is very important, if you have neuropathy and particularly if you have diabetes, that you learn how to look after your feet properly. In fact, you are likely to find that your physician will want to conduct an examination of your feet whenever you have an appointment. But you need to be committed to doing this on a daily basis as well. You clean your feet every day. You dry your feet using soft towels only. While doing so, you must look for blisters, swelling, redness, and other signs of injury. Do also check between the toes. Make sure that your report anything you find to your physician or diabetic/neuropathic nurse. Use a mirror if you cannot bend to see all of your feet. Invest in a good moisturizer to use on your feet. Do not, however, use the moisturizer in between the toes, as this can lead to infections. Make sure that your toenails are kept short, but not too short. You must avoid the situation where your toenails becoming ingrown. Have your feet measured and wear shoes that are appropriate to both the length and width of your feet. The toe-box in particular should be comfortable and you should be able to move your toes. Avoid sustaining injuries to your feet. To do so, avoid walking barefooted by always wearing slippers or shoes. Stepping on something seemingly insignificant like a pebble could cause a tiny injury that you are not aware of, and this can lead to much bigger problems. Always check that there are no debris in your shoes before you slip them on. Again, this could cause an injury without you being aware of it. 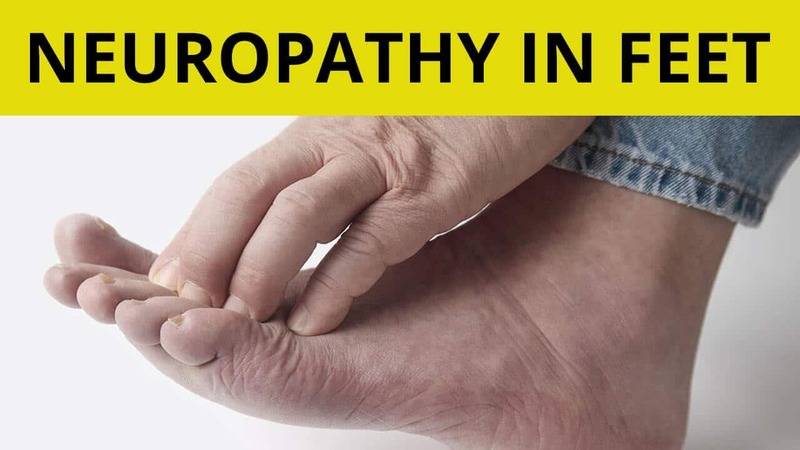 Looking after your feet in this manner will ensure that you are taking proactive steps in avoiding the serious and severe complications associated with neuropathy. That said, this condition usually also requires specific treatment. Supplements of vitamins and minerals and other herbal solutions like Nerve Renew. It is very rare for neuropathy to be reversed, although people can certainly find relief from consistently using specific treatments.